Aside from Kodi, Perfect Player is probably the most popular application around for streaming IPTV services. But if you’ve just discovered Perfect Player, you may not know how to install it and get your IPTV service working with it. 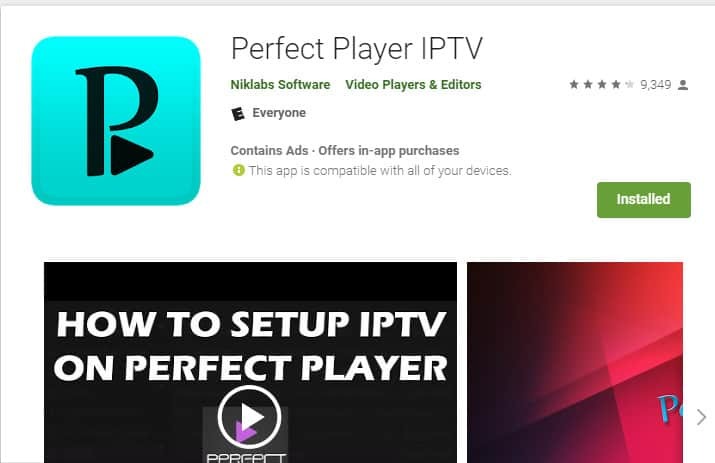 This article will explain how to set up IPTV on Perfect Player. Before you start using IPTV services, it’s important to take steps to protect your privacy. Your ISP can see any IPTV data you send or receive over your network. This means your ISP can log what shows or movies you are watching and where you are streaming them from. It can also throttle your Internet speed based on the fact that you are streaming video. In addition, if you’re using public wifi, hackers sharing your network can easily see passwords, credit card info, and other personal data you are sending over the Internet. A VPN encrypts your data, making it difficult for hackers, your ISP, or anyone else to know what you are doing. This keeps your private behavior just that: private. Not all VPNs are good for IPTV users. Most don’t have apps for TV devices, and many are too slow to stream HD video. ExpressVPN has an app for the Amazon Fire Stick, Nvidia Shield, Android TV, and Odroid. In addition, we’ve found it to be one of the fastest and most secure VPNs around. Before you set up Perfect Player to work with your IPTV service, you’ll need to download and install it. At this time, Perfect Player is only available for Android devices. The instructions for installing it will vary depending on what type of Android device you have. Here’s how to install Perfect Player on Android phone, tablet, or TV box, as well as on 1st, 2nd, or 3rd generation Amazon Fire TV/Stick. If you’ve got an Android phone, tablet, or Android TV box with access to Google Play, installing Perfect Player is simple. Just open your Google Play app and search for Perfect Player. It has a blue-green logo and is developed by Niklabs Software. You can also click this link from within your device to go there directly. When you’ve arrived at the Perfect Player page within the Google Play Store, just click install to install it on your device. It used to be just as easy to install Perfect Player on a Fire TV as it was to install it on an Android phone. However, Amazon recently removed Perfect Player from the Amazon app store, making it more difficult to install. To make matters worse, Niklabs Software does not offer an apk file of the program on its website. On your Android phone or tablet, open Apps2Fire. You’ll see a vertical list of apps in the lower portion of the screen and a horizontal menu at the top. Since Apps2Fire has become popular, Amazon has moved to prevent its use. Users with newer models of Fire TV devices have found that Apps2Fire produces an error message that says “Failed to connect to Fire TV. 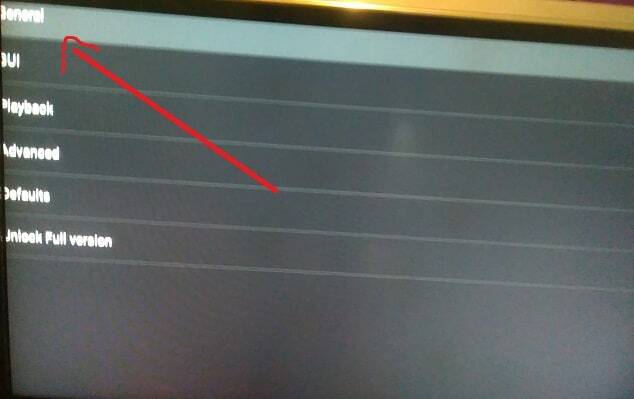 Is it running and is the IP address correct?” whenever they try to connect. 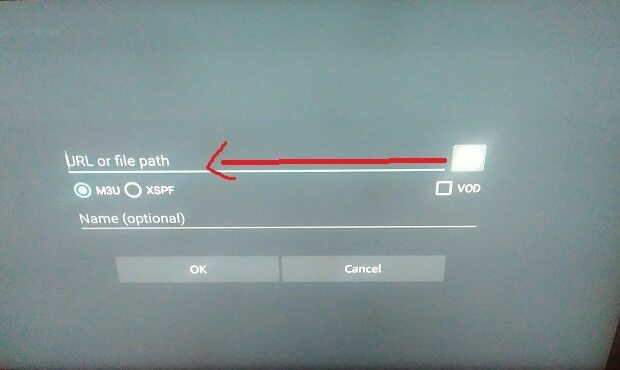 As a result, it is not possible to use the previous method to install Perfect Player on 3rd generation Fire TV devices. Once you have Perfect Player installed, it’s time to set it up with your IPTV service. First, look through your IPTV service support documents and find the M3U URL and EPG URL. Some IPTV services do not have EPG URLs because they do not have electronic program guides. If your service is one of these, just find the M3U URL. An M3U URL is required to use Perfect Player, so if your service doesn’t provide one, you will not be able to use Perfect Player to watch its channels. Now that you have this info, open Perfect Player. You’ll see the main control panel with play and stop buttons, etc. Move your cursor all the way to the right so that it highlights the gear icon. 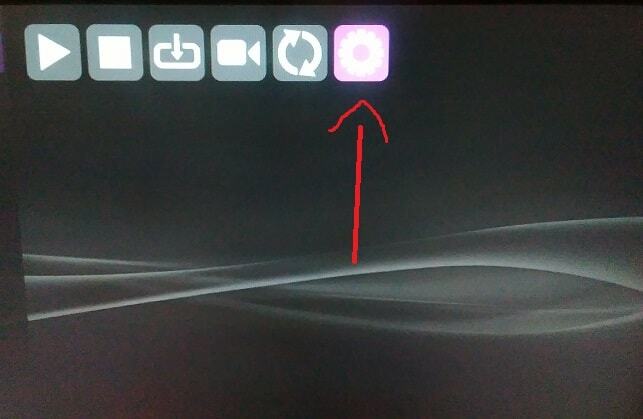 Click this icon to open the settings screen. When the settings screen opens, you’ll see a list of options, including “general,” “GUI,” “playback,” and “unlock full version.” Click general to open the general settings menu. Now click playlist (url or file path) and enter your M3U url in the box provided. If you have more than one IPTV service, you may want to provide a name for this one so you don’t get it mixed up with others. In this case, move the cursor to Name (optional) and type in a suitable name for the service. When you are done entering the M3U URL and (optional) name, click OK to close the dialogue box. 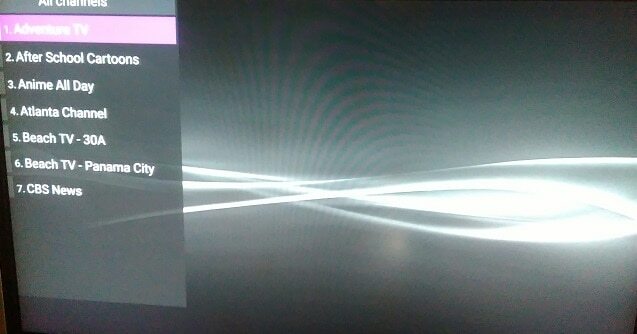 If you have an EPG URL, click EPG (URL or file path) and enter that information, then click OK again. Now click the back button until you are back to the Perfect Player main control panel. You should see a message that says “updating.” Wait a few seconds for your channel menu to load in Perfect Player. That’s all there is to set up an IPTV service with Perfect Player. A quick Google search should get you access to lists of official URLs you can plug into your Perfect Player app. These links change frequently, so you may need to regularly update the links you have paired with your app. To create your own IPTV channel list, start by opening a plain-text application such as Notepad or TextEdit. Type #EXTM3U at the top of the document. 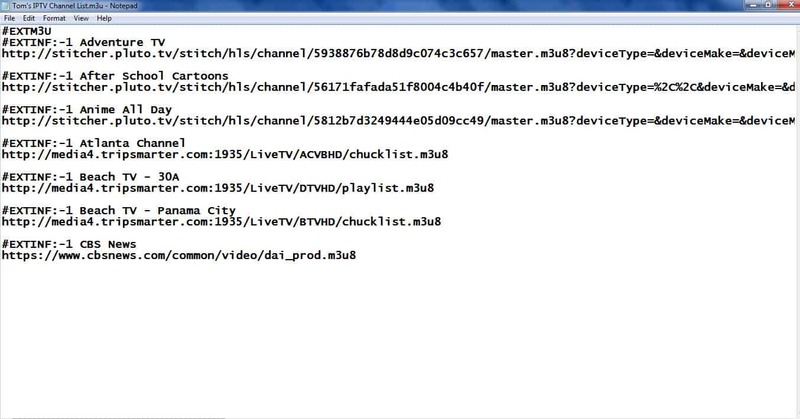 In the rest of the document, list an m3u8 link for each channel you want on the list. These m3u8 links can be found in IPTV forums and IPTV-oriented websites, and we will list a few of them to get you started below. When you finish, you will have a document that looks something like this. Save the file. 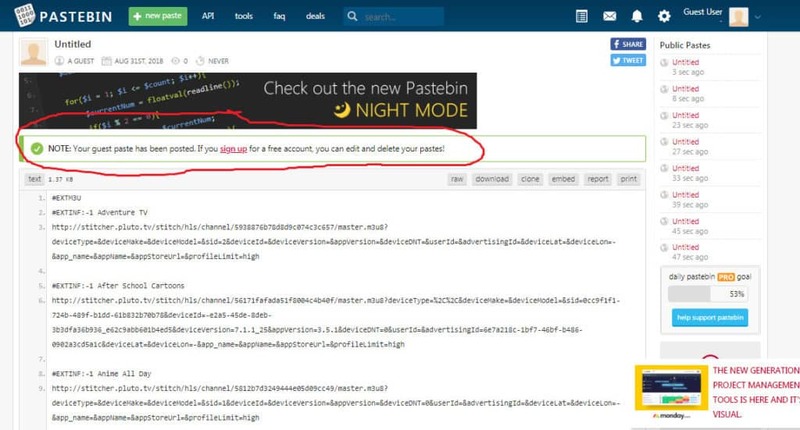 Now open a browser and navigate to pastebin.com. In the field where it says new paste, cut and paste the contents of your text file. Scroll down to the bottom and push the create new paste button. Copy the URL at the top of the screen and save it somewhere safe. This is the URL for the new IPTV channel list you have just created. You can now enter this URL into Perfect Player in the “playlist (URL or file path)” field within settings → general to start watching your new IPTV service. Using Perfect Player is far from a perfect TV viewing experience. If you find that there’s a bit too much effort involved in setting up and using Perfect Player, consider trying some of these live TV alternative options. FuboTV is an IPTV service aimed at sports fans, although it has many non-sports channels as well. It offers over 80 channels, including NBCSN, NFL Network, NBA TV, USA, FX, SYFY, and many others. A free trial is available for the first seven days, and the first month of service comes with a $5 discount. The price for each month after the first is $44.99. Setting up fuboTV is simple. Just download the app for Roku, Apple TV, Amazon Fire TV, Android TV, or Android or iOS mobile devices. If you want to watch your channels on a PC, connect to the fuboTV website using a standard web browser. In addition to live TV channels, you can also use your fuboTV login to watch on-demand content from History Channel, AMC, FX, HGTV, and other channels you receive. 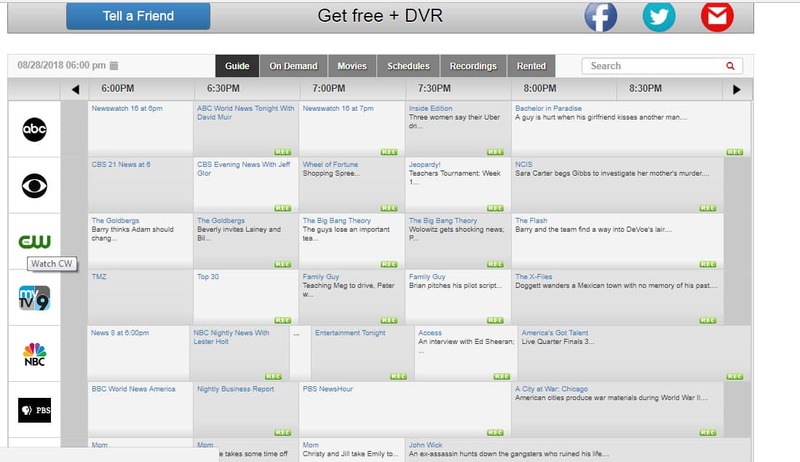 This is a distinct advantage to using fuboTV over most IPTV services, as these services usually don’t provide on-demand content. USTVnow offers both a free and premium IPTV service aimed at US military stationed overseas, but anyone can create an account by providing a name and email address. The free TV package includes the New York affiliate of the major US broadcast networks: NBC, ABC, CBS, Fox, PBS, The CW, and My 9. The premium package adds another 18 channels to these, including USA, Fox News, Comedy Central, History, Lifetime, and others, for a cost of $29/month. Setting up USTVnow requires you to either download the official app for Roku or Apple TV, watch through a web browser, or use the USTVnow Kodi addon. Regardless of which of these methods you use, setting up USTVnow is significantly simpler than using Perfect Player. Pluto.tv is a free IPTV service with over 100 channels, including CBSN, Bloomberg, Anime All Day, DramaFever, World Poker Tour, and many others. To set up Pluto.tv on your device, simply connect using a web browser or download the official app for Roku, Amazon Fire TV, Apple TV, or Android or iOS mobile device. Xumo is another free IPTV service similar to Pluto.tv. It offers over 140 channels, including Sports Illustrated, MMAjunkie, TMZ, People TV, TYT Network, Time, CNET, Wired, Vogue, Cooking Light, Southern Living, and many others. Xumo TV has an app for Android, iOS, and Roku. To watch on an Amazon Fire TV device, download the Silk browser for Fire TV, then open it and navigate to xumo.tv. Sling TV is a premium IPTV service aimed at users who want a low price with just a few cable channels. It offers two basic packages: Sling Blue and Sling Orange. Sling Blue offers 40+ channels for $25/month, including FS1, FX, Bravo, National Geographic, Cartoon Network, and others. To keep the cost of the package low, Sling Blue does not include ESPN and Disney. Sling Orange offers ESPN 1-3 and Disney but has a smaller number of channels overall: just over 30 channels instead of 40+. Sling Orange costs the same as Sling Blue. As with fuboTV, you can use your Sling TV login to unlock on-demand content from channels you receive. To set up Sling TV, download the official app for Roku, Amazon Fire TV, Apple TV, Windows PC, Mac, or Android or iOS mobile device.